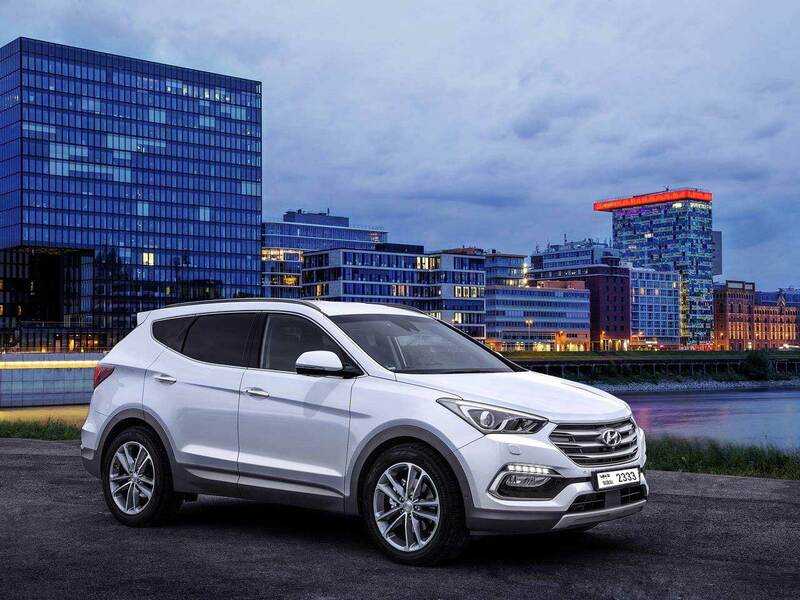 Rotana Star rent a car offers the chance to drive a Hyundai Santa Fe at a great price. 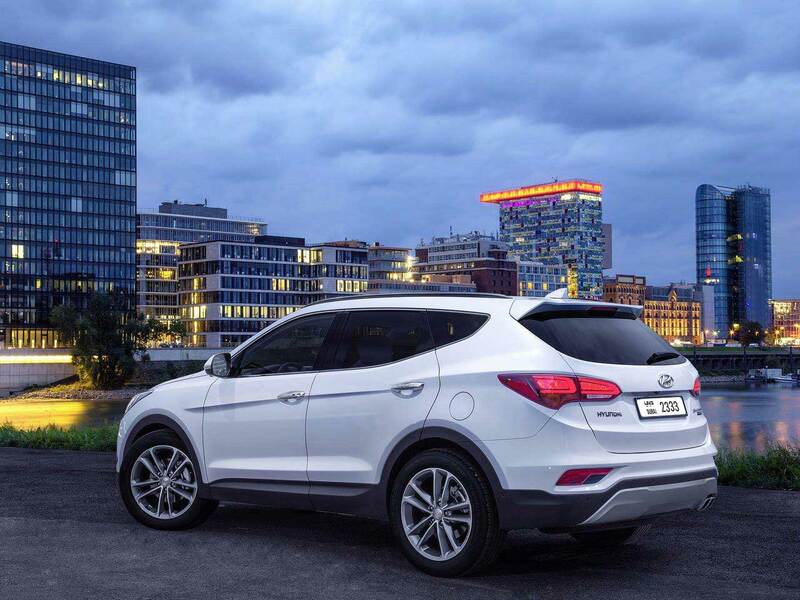 Whether you taking a vacation or taking care of business a Hyundai Santa Fe can be an ideal rent a car option. Best Seller: As Hyundai’s best selling model in the USA, you can rest assured you will be getting a top of the line Hyundai rental car. 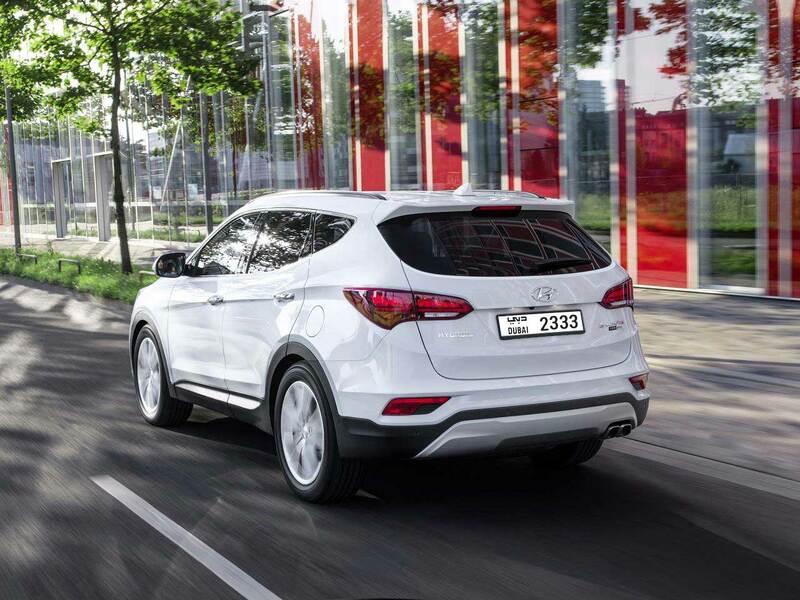 Dynamic Driving: With a highly responsive, powerful V-6 engine that provides a smooth driving experience, you will be very happy in your Santa Fe rent a car. 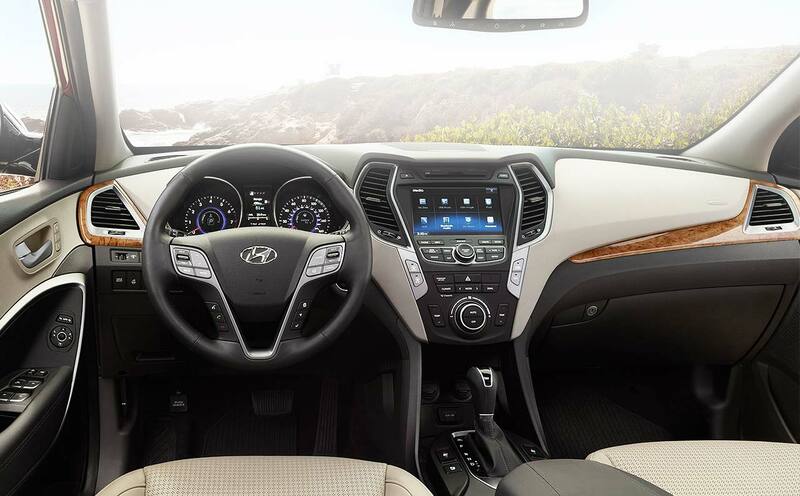 Luxurious Interior: The Santa Fe includes high-end seats for ultimate comfort on both long and short drives as well as plenty of passenger and cargo space so you can pack up and pile in without leaving anyone or anything behind. 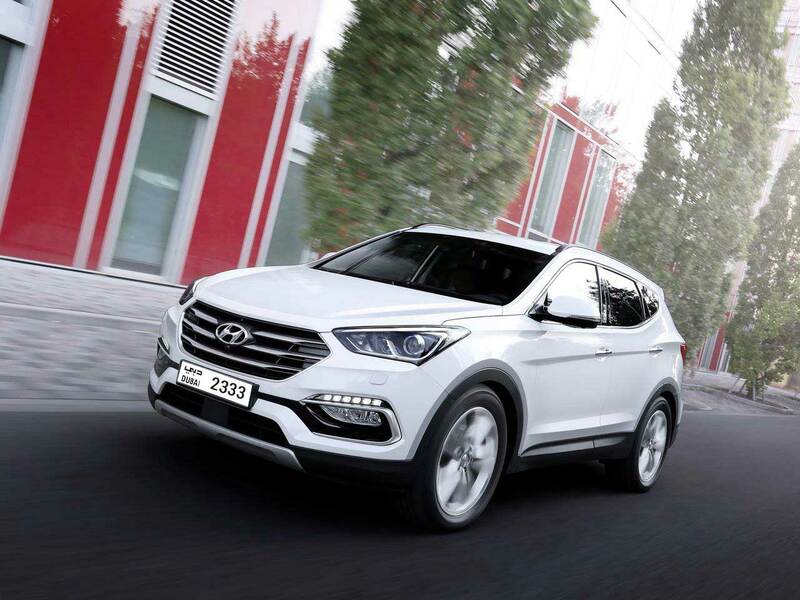 Hire Hyundai Santa Fe in Dubai, we strive to provide the best service in the area. At Rotana Star , we have many years of experience in the hire car field. As a result, we can bring value for money and top-notch service – guaranteed. A key reason for this is because we own our entire fleet of vehicles. This means we have more flexibility on price, unlike our competitors, who often lease their cars on a long-term basis. At Rotana Star, we make the process to Drive a Hyundai Santa Fe in Dubai for rent easy. The first step is the browse our website to find a suitable price. After this, contact us by sending in a request via our online form or by telephone. We aim to get back in touch soon after to finalize the deal. When the time comes to deliver the car, we offer two options: either pick-up the car from our Dubai showroom or take advantage of our popular door-to-door delivery service. Our premium car rental services allow you the chance to rent a Hyundai Santa Fe in Dubai or other family brand cars at affordable rates. Book online or over the phone and collect your rent a car or get it delivered in Dubai.